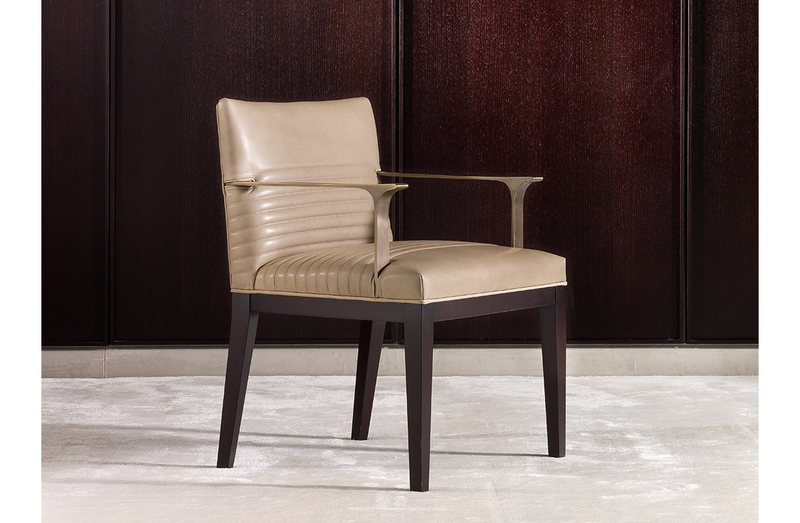 Dining chair with structure in mocha tinted beech wood. Upholstered seat and back with stitched detailing. Available to order as a side chair or armchair with arms in brass with antiqued bronze finish.